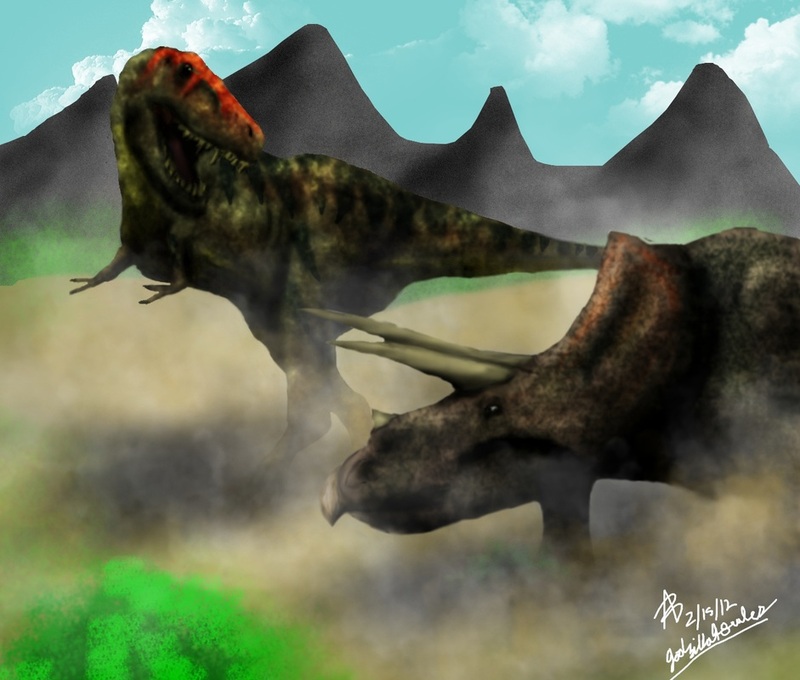 This painting of a Tyrannosaurus Rex and a Triceratops was an amazing achievement. I really improved on creating scaly skin and blending colors. This one was also where I used special brushes to make the clouds and dust storm these two titans are kicking up.